Category Archives: "IRS Audits and Litigation"
Senate Finance Committee Ranking Member Ron Wyden (D-OR) has asked the Nevada Secretary of State to provide specific information on over 1,000 Nevada business entities that have been linked to the so-called “Panama Papers” scandal. Nevada's law allows it to demand a list of beneficial owners of any entity registered in Nevada and suspected of illegal activities. Senator Wyden has also requested that the Wyoming Secretary of State provide specific information on the 24 Wyoming business entities that are linked to the scandal. The term “Panama Papers” refers to the 11.5 million documents from Panamanian law firm Mossack Fonseca that were first leaked to German newspaper Sueddeutsche Zeitung and subsequently shared with more than 100 other international news outlets, including ICIJ. The information covers a period over almost 40 years, from 1977 until last December. Senator Wyden's letters to Nevada and Wyoming. In letters dated May 10, Senator Wyden states that he has become increasingly concerned about the use of anonymous shell companies as vehicles for terrorist financing, tax evasion, and fraud targeting major government programs with the Senate Finance Committee's jurisdiction. To assist in his review of this matter, he has requested specific information from Nevada and Wyoming. Information requested from the Nevada Secretary of State. In a letter dated May 10, Senator Wyden has requested that the following information be provided by the Nevada Secretary of State by June 3, 2016. (1) For the over 1,000 Nevada business entities that have been linked to Mossack Fonseca (including its Nevada affiliate), please provide all documents filed with the Secretary of State related to each entity, including, but not limited to, documents related to the articles of organization for each entity and any other documents related to the registration, maintenance, and operation of the entity. (2) Has the Secretary of State conducted audits of any business entity identified in item (1)? If so, please provide any official documents or correspondences related to any such audit. (3) How many times has Nevada used the authority under its law to demand a list of beneficial owners of any entity that is registered in Nevada and is suspected of illegal activities in each of the past three years? Has the Secretary of State used this authority to collect beneficial ownership information for any entity identified in item (1)? If so, please provide the beneficial ownership information for each such entity. (4) Under Nevada law, registration agents who represent 10 or more entities must register with Nevada as a commercial registered agent. How many commercial registered agents are there in Nevada? For each registration agent associated with a business entity in item (1), please provide copies of any documents filed with Nevada related to the operation of the registration agent as a commercial registered agent. (5) Please describe the process for reviewing and approving the operation of a commercial registration agent in Nevada. Has Nevada conducted any additional audits or oversight of commercial registration agents? If so, how many such audits have been conducted? How many commercial registration agents have found to be in violation of Nevada's licensing requirements? For each registration agent associated with a business entity in item (1), please provide copies of any document related to any audit of the commercial registration agent. (6) In 2011, the Secretary of State established a joint Corporate Ownership Fraud Task Force in cooperation with IRS to investigate registered Nevada busienss entities that were suspected of being involved in illegal activities, including tax evasion, money laundering, securities violations, and the marketing of shell or shelf companies for fraudulent and/or deceptive purposes. Did the task force identify or investigate any entities associated with Mossack Fonseca or MF Corporate Services? How many businesses were reviewed by the task force? What were the findings of this task force? Did any criminal or civil prosecutions result from the work of the task force? If so, please describe each such prosecution. Did any legislative or regulatory changes occur as a result of the task force's findings? Please provide any form report issued by the task force. Information requested from the Wyoming Secretary of State. In a letter dated May 10, Senator Wyden has requested that the following information be provided by the Wyoming Secretary of State by June 3, 2016. (1) For the 24 Wyoming business entities that have been linked to Mossack Fonseca (including its registered agent M.F. Corporate Services), please provide all documents filed with the Secretary of State related to each entity, including, but not limited to, documents related to the articles of organization for each entity and any other documents related to the registration, maintenance, and operation of the entity. (2) Press reports and your office's press release indicated that in April, the Secretary of State conducted an initial audit of the 24 Wyoming companies linked to Mossack Fonseca. What were the findings of this audit? Please provide any official documents or correspondence related to this audit. (3) Does the Secretary of State, or any other agency, collect a list of the beneficial owners of entities registered in Wyoming? If so, please provide the beneficial ownership information for each entity identified in item (1). (4) Please describe the process for reviewing and approving the operation of a commercial registration agent in Wyoming. 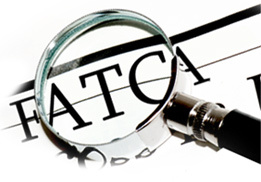 Does Wyoming conduct any additional audits or oversight of commercial registration agents? If so, how many such audits have been conducted in the past three years? How many registration agents have been found to be in violation of Wyoming licensing requirements? Their Illegal Activity is Identified! 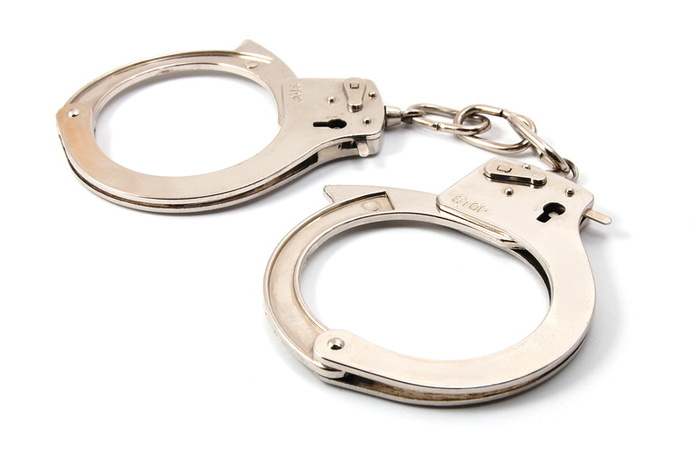 According to the DoJ a former Credit Suisse AG banker, who has been a fugitive since 2011, pleaded guilty on June 22, 2016 in U.S. District Court in the Eastern District of Virginia to charges related to aiding and assisting U.S. taxpayers in evading their income taxes, announced Acting Assistant Attorney General Caroline D. Ciraolo of the Justice Department’s Tax Division. Bergantino admitted that from 2002 to 2009, while working as a relationship manager for Credit Suisse in Switzerland, he participated in a wide-ranging conspiracy to aid and assist U.S. taxpayers in evading their income taxes by concealing assets and income in secret Swiss bank accounts. Bergantino oversaw a portfolio of accounts, largely owned by U.S. taxpayers residing on the West Coast, which grew to approximately $700 million of assets under management. Bergantino admitted that the tax loss associated with his criminal conduct was more than $1.5 million but less than or equal to $3.5 million. During his time as a relationship manager, Bergantino assisted many U.S. clients in utilizing their Credit Suisse accounts to evade their U.S. income taxes and to facilitate concealment of the U.S clients’ undeclared financial accounts from the U.S. Treasury Department and the Internal Revenue Service (IRS). taking actions to remove evidence of a U.S. client’s control over an account because the U.S. client intended to file a false and fraudulent income tax return. Moreover, Bergantino understood that a number of his U.S. clients concealed their ownership and control of foreign financial accounts by holding those accounts in the names of nominee tax haven entities, or structures, which were frequently created in the form of foreign partnerships, trusts, corporations or foundations. “Today’s plea of Michele Bergantino is another example of IRS-Criminal Investigation’s (CI) dedication to Bringing Individuals to Justice who engage in helping U.S. Taxpayers Eade their Tax Obligations,” said IRS-CI Chief Richard Weber. “We will continue our Global Efforts to Vigorously Pursue both U.S. Taxpayers...and the Unscrupulous Professionals who Facilitate Their actions. Bergantino also admitted traveling to the United States approximately one to two times a year to meet with clients, taking careful steps to conceal the purpose of his visits from U.S. law enforcement. He used private couriers to send clients’ account statements to the U.S. hotels where he stayed, so that he would not be caught traveling with clients’ statements in his possession. 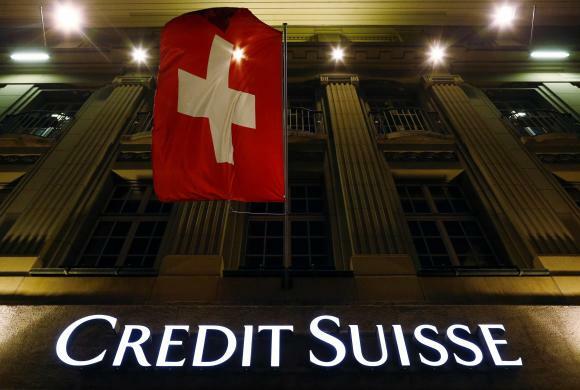 In addition, Bergantino obtained “travel” account statements for each client he intended to visit which were devoid of Credit Suisse’s logo and account or customer identification information and used business cards that Credit Suisse provided that contained only his name and office number and did not carry the Credit Suisse name or logo. On entering the United States, Bergantino provided misleading information regarding the nature and purpose of his visit to U.S. Customs and Border Protection authorities. Bergantino faces a statutory maximum sentence of 5 years in prison. He also faces monetary penalties and restitution. UBS Singapore Forced To Turn Over Records of US Taxpayer - What Are You Waiting For To Get Right With The IRS? The Swiss Bank Program is Over So What Countries are in the DoJ Sites Now? LB&I Agents Lose Autonomy To Centralized Office That Will Be Using Data to Identify Compliance Risks For Audit! OVDP Program Open Indefinitely For Taxpayers Hiding Money or Income Offshore! Do You Have Undeclared Income From Foreign Banks? UBS Singapore Forced To Turn Over Records of US Taxpayer – What Are You Waiting For To Get Right With The IRS? On August 28, 2013 we posted U.S. Turns Up The Pressure On Swiss Banks! where we discussed the Swiss Banks and listed 2009 as when Switzerland’s biggest bank UBS agrees to turn over more than 4,450 client names and pay a $780 million fine after admitting to criminal wrongdoing in selling tax-evasion services to wealthy Americans. Then UBS then decided that it would not turn their records of a client who had a UBS account in Singapore. The government claims that despite IRS requests, UBS AG has so far not turned over records related to funds held at UBS in Singapore by “noncompliant” American taxpayer Ching-Ye Hsiaw, and it asked the court to order the bank to do so. The federal government asked a Florida federal court on February 23, 2016 to require Swiss bank UBS to cooperate with an IRS investigation into an American taxpayer allegedly holding funds at the bank overseas, saying the government has a strong interest in determining how much the man owes in taxes. The government claimed that despite IRS requests, UBS AG has so far not turned over records related to funds held at UBS in Singapore by “noncompliant” American taxpayer Ching-Ye Hsiaw, and it asked the court to order the bank to do so. On June 22, 2016 DoJ announced in its post that UBS AG has complied with an Internal Revenue Service (IRS) summons for bank records held in its Singapore office. 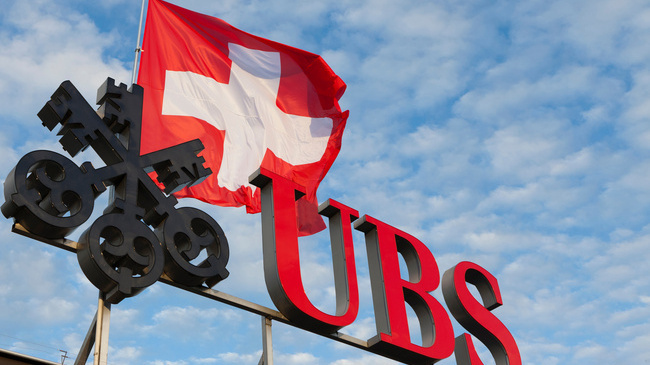 Because UBS has now produced all Singapore-based records responsive to the request and the IRS determined that UBS complied with the summons, the Justice Department has voluntarily dismissed its summons enforcement action against the bank. of the Justice Department’s Tax Division said. Before We Come Looking for Them”!!! The IRS keeps updating its list of foreign banks which are turning over the names of their US Account Holders, who are now subject to a 50% (rather than 27.5%) penalty in the IRS’s Offshore Voluntary Disclosure Program (OVDP). This penalty is based on the highest account balance measured over up to eight years. On March 9, 2016 the Justice Department Announced that Cayman National Securities Ltd. (CNS) and Cayman National Trust Co. Ltd.(CNT) are the 96th & 97th Offshore Banks to reached a resolution under the department’s Offshore Bank Program. 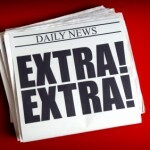 See our post 97 Offshore Banks Are Turning Over Your Names To The IRS - What Are Your Waiting For? 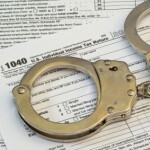 The Tax Division aggressively pursues offshore tax evasion. More information is available online about the Division’s Offshore Compliance Initiative and its Swiss Bank Program. 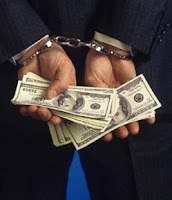 These Banks, including UBS, have agreed to pay a total of about $5 billion in penalties and fines, turnover records of US taxpayers and aid the DoJ by being witnesses in any criminal prosecutions. Non Swiss Foreign banks and financial institutions that serve U.S. customers are well-advised to heed the lessons of the Swiss Bank Program and other Justice Department enforcement actions commenced to date. Not to mention a little thing like 30% FATCA withholding for noncompliant foreign banks! 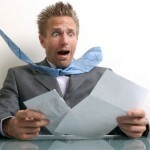 Do You Have Undeclared Income From the Foreign Bank? We previously posted Numerous US Taxpayers Are Receiving Automated $10,000 Penalty Assessments For Late Filed Form 5472's - We Can Help! where we discussed that we have been receiving a lot of calls from businesses who have recently received penalty notices regarding late filed or non-filed Form 5472's. The Internal Revenue Service imposes an automatic penalty of $10,000 whenever an individual or company is late in filing an information return disclosing their interest in a foreign corporation, regardless of whether there is any associated underreported of income or tax deficiencies. U.S. persons including businesses with at least a 10 percent interest in a foreign corporation or who are officers of a foreign corporation in which any U.S. person owns or acquires a 10 percent interest are required to file a Form 5471 with their tax return to disclose their ownership. The IRS has begun to automatically applying the $10,000 penalty for each Form 5471 and Forms 5472 that was filed after the due date. There are ways to defend against these automatic assessments and request penalty abatement. There are four defenses that you should consider when assess the penalty for filing an international information return after the due date. Follow the Delinquent Information Return Procedure - First, the taxpayer can file through the Service's procedures for delinquent international information returns. This procedure is appropriate for taxpayers who can establish reasonable cause for their failure to file or whose failure to file has caused no or nominal tax non-compliance. This procedure cannot be used, however, if the taxpayer is already under audit or investigation or has otherwise been contacted by the Service about the delinquent information returns. Under this procedure, the taxpayer files the delinquent returns with a statement of the facts establishing reasonable cause for the failure to file. In the "Frequently Asked Questions" section, the Service explains that taxpayers with tax noncompliance can use this procedure, but that the Service may impose penalties if it does not accept the taxpayer's reasonable cause explanation. 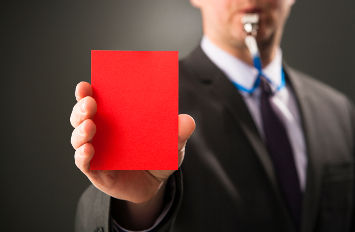 Ask for a First-Time Offender Abatement (FTA) - Generally, an FTA can provide penalty relief if the taxpayer has not previously been required to file a return or has no prior penalties (except the estimated tax penalty) for the preceding three years with respect to the same IRS File (IRM §20.1.1.3.6.1). With respect to a Form 5472 late-filing penalty, the IRM provides for an FTA if an FTA was applied to the taxpayer's related Form 1120 late-filing penalty or no penalty was assessed on the related Form 1120 (IRM §21.8.2.20.2). Statute of Limitations - Though a $10,000 penalty may discourage some from filing in international information return after the deadline, there is a greater exposure to not late filing and information return and that is that the statute of limitations for tax returns which is generally three years does not apply for returns that are missing the information reports and the statute remains open indefinitely. Under the indefinite statute of limitations, not only can the IRS make adjustments to items related to the international information returns, but they also can examine any other area on the tax return. Automatic $10,000 Penalty for a Late Form 5471 or 5472?